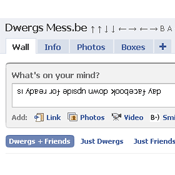 After a month of anticipation, the moment has finally arrived: June 9th 2009, also known as… Upside Down Facebook Day! 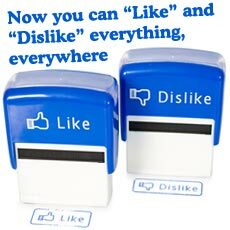 Today, about 1,000 Facebook users -and we assume this includes you- will vertically flip their profile pictures and turn their status updates upside down. How? It’s pretty easy, just read below for instructions. To the left is an example of what it’ll look like. TIP: This works best with close-up portraits. #2 – Post ONLY upside down status updates and messages for the entire day. b) Copy and paste the upside down text to your status update field, or to a friend’s wall. 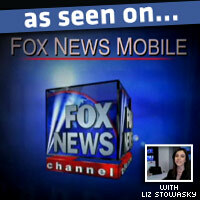 Of course, possibilities are endless here. You can, for instance, also create a new photo album with an upside down title and upload rotated pictures to it. Just be creative! We’d love to see your screenshots as a proof of your participation, so please upload them to our event page. Don’t forget to share the funny reactions you get from your friends on our event’s wall. We’ll post the best bits to this site. 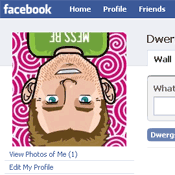 And if anyone asks today why your profile is upside down, just tell them it’s Upside Down Facebook Day! Let's turn Facebook Upside Down for a day! Posted by Pieter on June 9, 2009 at 12:36 AM. Use this trackback if you're linking this story.